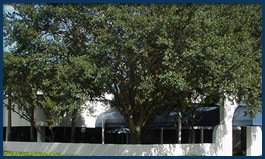 UDI is a freestanding imaging center located on the campus of the University of South Florida. For the past 29 + years, UDI has surpassed the challenge of providing superior technology, service and care to the Tampa Bay Community. UDI is widely recognized throughout the country for its reputation of combining excellence with superior personalized patient care. Our experienced Neuroradiologists, Musculoskeletal, and Abdominal Imaging Radiologists, along with the highly trained and competent technical staff, continue to provide exceptional service to our community. 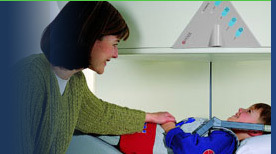 Our primary mission is to provide each patient with the highest level of quality imaging with personalized care possible. Our professional staff M.D.s are all fully licensed to practice medicine in Florida and are Board Certified by the American College of Radiology. All UDI Neuroradiologists are senior members of the American Society of Neuroradiology and have Certificates of Added Qualification (CAQ) in Neuroradiology. In addition to fellowship training in Neuroradiology, our physicians all have more than 40 years cumulative experience in Musculoskeletal MRI Imaging; Dr. Greg Carney also served a formal MSK Fellowship and Dr. Taylor is a fellowship trained Abdominal Imaging specialist. Our highly trained technologists are Registered in Radiography by the ARRT and hold an additional Registry in either CT or MR Imaging. All of the Imaging equipment at UDI is state-of-the-art and fully American College of Radiology accredited.